Home / History / What Is Ifa? 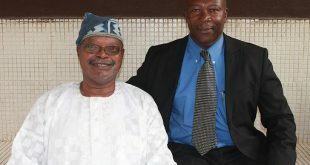 A lecture by Prof Idowu Odeyemi. With due respect to the practitioners of “African Religion”, I wish to state that, until now, writers and even thinkers have tended to overlook a fundamentally important aspect of the religion, that is, the existence of a strand which threads and knits together all aspects of the universal religious world view, culture and tradition. It is Ifa. All books which have been written on this very sacred aspect of our lives as Africans (and there are several books, written by both Africans and non-Africans) merely treat Ifa as if it were a collection of verses, parables anecdotes and even parodies! Even educated Africans perceive Ifa merely as literature material for the attainment of doctorate degrees and professorial status (Awolalu, Mbiti, Idowu among others) and for sale in schools and colleges for material gain. According to Professor Wole Soyinka (a Yoruba and the first Black Nobel Laureate) in response to an interview with Ulli Beer (Tempo, 6th Nov. 1997 p.8) “It is a very curious phenomenon that Yoruba scholars are reluctant to come to terms with Yoruba (lfa) religion. The worst part of it is that those fellows who speak about “false consciousness” … are all totally preconditioned. Even when they are trying to ‘be objective about ‘African religion’ in general, they are totally incapable of relating to it. They say it is a contemporary world. What use is Traditional Religion today? … and I feel tempted to say to them What use is a system of beliefs like Islam or Christianity in the contemporary world? And they cannot see that they have totally failed to make the leap: to take Yoruba (Ifa) religion on the same level as any system of belief in the world; that they are committing a serious scholarship lapse. In other words they are totally brainwashed by what I call these “elaborate structures superstition” – Islam and Christianity particularly. They have accepted these as absolute facts of life which cannot be questioned. They lack the comparative sense of being able to see Yoruba (lfa) religion as just another system – superstition, belief, world view, cosmogony or whatever. You have to do it on the same level with any other system. Once you do that, many questions which have been asked become totally redundant because they have not been asked about other religions. But when our scholars come up against their own religion, their faculty of comparison completely disappears!” So, rather than take that giant leap of faith (so to speak! ), Yoruba (and African) “scholars” on African religion are too timid to accept their very Africanness as an inexorable fact. The liquid of TRUTH (IFA) being too bitter and unsavoury to swallow, they thus become hardened alcoholics of illogically and unabashed peevishness. For instance, if Olodumare is God in Yoruba belief, with attributes which are universal, non-tribal, and non-partial, with no chosen race, with fundamental laws which have universal and pan-ontological applicability, why run away from such an Almighty Megaforce and cling to a sectional Jewish Deity who abandoned his own creation and chose a small desert race as his “chosen people”? This unfortunate oversight and crass self-abnegation has led to the absence of a Holy Book and instead, a proliferation of magazines, pamphlets, treatises, commercial books and so on. Yet, although such proliferation serves to keep Ifa perpetually on the table of universal religious discourse, Ifa is not merely a collection of verses, proverbs, parables and anecdotes. Ifa is God’s sacred message to mankind. It is the embodiment of the totality of human existence. It is. As Orunmila (BA) told us in Ejiogbe 1:36, the basis for understanding the beginning and end of all things: Orunmila ni hunhun un un Ifa mo ni ki lo se o ti o nkun si Bara Elesin Oyan? Orunmila ki lo se o ti o nkun si Bara Adagba Ojomu? lfa ki lo se o ti o nkun si Baara Agbonnin!igun, Okinkin tii j’eyin erin o fon? O l’oro lo po ninu oun Oun o r’eni t’a a M a so ni Ogun ni oun nko? Meebi ore ni wa? 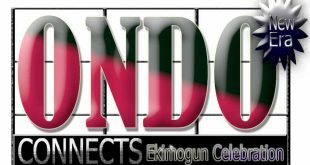 Orunmila ni t’oran ore ko Eni to mo iwaju oro to meyin oro loun o ri Ogun loun moo, 0 mooti Gbogbo okookanlenu /runmole l’awon moo Won mooti Won ni Orunmila, iwo nko? Orunmila ni oun o mo iwaju oro at’eyin oro O ni Ifa lo mo iwaju oro to meyin oro Ifa, Olodumare, Atenilegelege, fori sapeji! Through Ifa is revealed the Great Mysteries of life. Only Ifa explains the reasons for the existence of life, living, death, sickness, success, failure, poverty, wealth, life before birth and life after death. 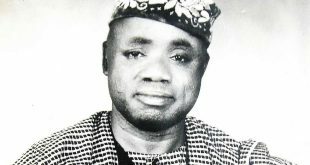 Only IFA reveals the spiritual basis for reincarnative experience; why no living thing, having sucked from the, breasts of mother Nature, will fail to taste the bitter truth of death (Ogbe Tomopon, 27:6), Why ORI is more important than religion, why we all chart different courses during our sojourn on planet Earth, and why sacrifice is pivotal to the lives of men of all races and all religions (Okanran-Osa, 130:12). Only Ifa tells it exactly as it is. In short, only Ifa guides the life of man from cradle to grave! Although, as a result of close association through the several millennia, Orunmila has been regarded as being synonymous with Ifa (the two names are actually frequently interchanged in the Sacred Verses) this, in realitv is not so. Ifa as the embodiment of Olodumare is the ultimate level of esoteric consciousness, a level attained only by Orunmila. Presumably anyone can reach that level, but so far, it is not achievable by mere mortals. According to Osa Meji 10:18, we all live a live of perpetual struggle (to reach the level of Ifa). Orunmila is not Ifa just as for instance, OGUN is not Iron, Mohammed is not the Quoran, Moses is not the Bible, Orunmila is the harbinger and interpreter of the Divine Message of Olodumare. That message is Ifa. Clearly, Orunmila hears and understands the message, but he is different and detached from it. Orunmila, as the Deputy of Olodumare in all things pertaining to omniscience, wisdom and spiritual salvation knows the secrets of man’s being He was with Olodumare is the beginning and knows how creation was begun and completed. He is endowed with the extraordinary wisdom and foreknowledge, an attribute, which allows Him to perceive the beginning and end of all things. He is present when each individual is created and when each individual’s Destiny is sealed. Thus, Orunmila can predict what will come to pass and prescribe remedies to effect or avert eventualities. Ifa, as the Divine Message is the Word, which was with Olodumare in the beginning. The Word is Olodumare, in as much as the Word (Ifa) cannot be divorced from its owner (Olodumare). In the many aspects which comprise human existence on earth, Yorubas and other Africans consult Ifa in order to know the wishes of Olodumare. Ifa, throughout the history of Yorubas over the past several millennia, has always been an essential part of life. The real key to the life of the Yorubas lies in Ifa. It forms the foundation of the all-governing principle of life for them. Before a betrothal, before a marriage, before a child is born, at the birth of the child, at successive stages in one’s life, before an Oba is enthroned, before a chief is installed, before anyone is appointed to civic office, before a war is prosecuted, before a journey is made, in times of crises, in times of sickness, at any and all times, Ifa is consulted for guidance and assurance. Because Orunmila is the Great Interpreter of Ifa and Witness to Destiny, both He and Ifa are held by Yorubas of whatever religious persuasion with awe, respect and reverence. Even the Catholic Priest respect Ifa and now quotes freely from the Sacred Verses. So does the Anglican Bishop and the Muslim Scholar. 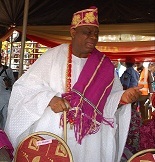 Orunmila himself seeks guidance from Olodumare through Ifa. Ifa is not a message for Yorubas alone. It is the Divine Message of Olodumare to mankind and for all those who seek to receive it. Ifa’s universal relevance lies in the fact that, when an individual from any race, colour or creed approaches an Ifa Priest for a personal message, Ifa may reveal a message national, continental or even global importance. For instance, the message may be a warning of an approaching war, famine, or pestilence, although the message – seeker may be concerned only about marriage! As a result of the spread of Ifa over the millennia, it has assumed different names in different countries and among different races. Thus, it is called Ifa among the Edos of Nigeria, Fa among the Fon of Republic of Benin. Eva BY Nupes, Ifa in Cuba, USA, Brazil, Trinidad and Tobago, Jamaica, Surinarm and Haiti, Afa by the Ewe of Togo, Ephod by Jews, Geomancy by Europeans and Malagasy, as well as Ramal or Hati by Arabs. Ifa is also widespread in Africa… It is practiced among the Igbos of Eastern Nigeria, the Kamuku and Gwari of Northern Nigeria, the Igbirra in South Central Nigeria like Jukun of Eastern Nigeria, and all the tribes in the region around the Cross Rivers. Among the Siwah people in the Sahara, Ifa is known as “Derb el’raml” or “Derb el fu” It is also widely practiced in Ivory Coast, Ghana, and Sierra Leone as well as in Liberia. The Napoleon Book of Fate is based entirely on Ifa. The Jewish Kabbala is based on Ifa. Indeed since Ifa is coexistent with Olodumare, the actual title of Ifa is Ifa Olodumare. Others call Him Orisa Agbaye (Lord of the Universe), Olorun (Owner of Heaven), Oodua (creator of Character and Destiny). Orunmila, in order to make access to the retrieval of the Divine Message (Ifa) easy, devised the computer compatible binary coding system, thousands of years before the emergence of computer consciousness in so-called modern man! So, Ifa is preserved in binary coded format and is output Parable – Format. Ifa is coded within 256 Odus or Corpus, each Odu representing an esoteric pigeonhole, itself divisible into 256 sub-holes. Within each of the 256 Odus, there are 1,680 Sacred Verses all presented in Parable – Format. Thus, the body of Ifa consists of 430,080 messages for mankind. That is why one of Orunmila’s appellations is “Oluwa mi, amoomotan” (My Lord, unfathomable!) This compendium constitutes the AKASHA, kept by Olodumare (the Omnipotent God), from which revelations are made to man throughout the entire length and breadth of the universe. These revelations are made through the medium of selected individuals called “Orisa”, “Prophets”, “Messengers”, “Apostles”, “Saviours”, “Avatars”, “Messiahs” etc. Ifa does therefore represent the Greatest Unwritten Holy Book on Earth, a perennial fountain of esoteric knowledge from which all Orisas, Prophets, Messengers, Messiahs, Apostles past, present and future sip and which message they spread at different times in human history to diverse peoples in their respective habitats. The Holy Quran puts it very clearly in Suratul AI Nahl (The Bee) Chapter 16:36 “Among every nation, we raise a Messenger with the message: serve God and eschew the Devil” It is from this theme that the “Law of the Prophets” was formulated. Ifa is thus the source of the keynote to all Religions on Earth. To this aspect, we shall return later. THE EIGHT ESSENCES OF IFA A thorough study of the ramifications of Ifa shows that it comprises eight basic essences, listed as follows: i. The Spiritual Essence: This relates to the place of man (as a spirit) in the cosmos, the powers of matter and all aspects of ontological evolution and development. ii. The Religious Essence: This relates to faith, catechism and Ifagelism (Preaching) iii. The Divine Essence: This relates to the methods of Divination and accessing of esoteric information; the mechanics of Divination and the systematics of Divine Message collection, processing and interpretation. iv. The Worship and Sacrificial Essence: This relates to the basis and meaning of worship and sacrifice. v. The Medicinal Essence: This deals with both magical and materialist medicine vi. The Historical Essence: This deals with the history of all creation, including the creation of materialist, non-materialist and spirit worlds. vii. The Scientific Essence: This deals with the power of observation, axiomatic, astronomy, cosmology, cognitive and pre-cognitive experience, astral science, physical and biological sciences, logic, philosophy mathematics, statistics and computer science. viii. The Cultural Essence: This relates to rites, rituals, politics, socio-economics, language dress and normative value systems. As it is obvious, these eight essences of Ifa are also in the main, coincident with the human essences, of planet earth and the non-human essences in the entire universe. It is also clear that Religion, Worship and Sacrifice are but few aspects of what constitutes the Divine Message known as Ifa. It constitutes what is also known as the Great Mystery System. Thus, while Ifa Religion represents the transcendental and Evangelical (Ifagelical) dimension of Ifa worldview, Worship and Sacrifice epitomize the corrective and restorative facets of that worldview. Next Efunsetan Aniwura: Yoruba’s Most Powerful Woman That Ever Lived?